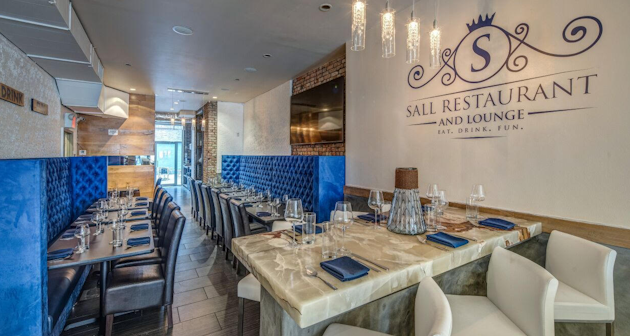 With all the restaurant options in New York City, it’s hard to imagine how a new one could make an impact, but Sall Restaurant & Lounge has managed to do just that! 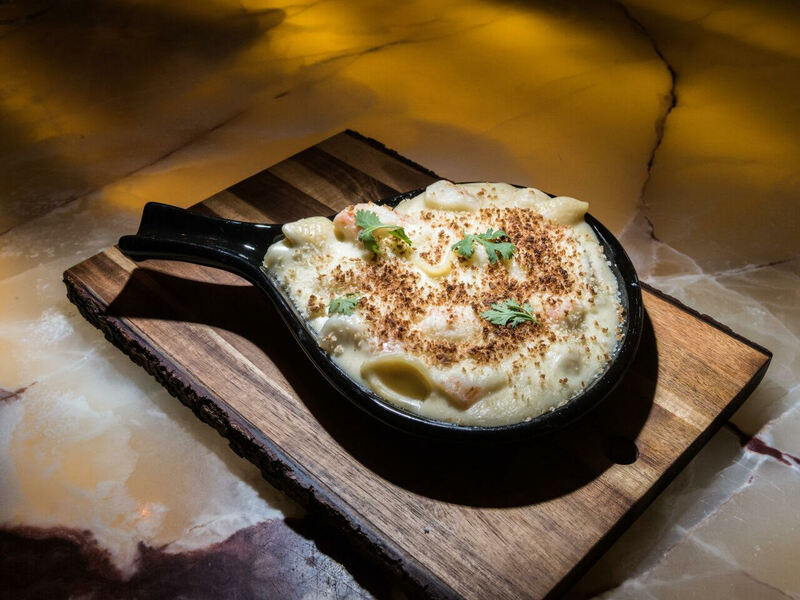 This Hell’s Kitchen New American restaurant has a seafood focus that fits nicely into the foodscape of the neighborhood. A top-notch restaurant, Sall Restaurant & Lounge was opened by husband and wife team Isabella Nartey & Demba Sall. 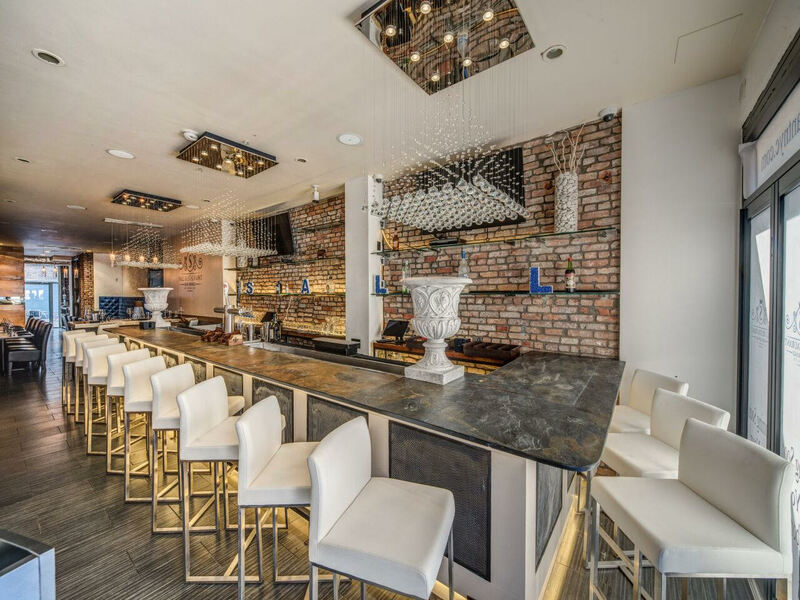 The exposed brick walls, slab marble bar, and nordic color inspired decors, immediately greet guests as they enter the restaurant, followed by familiar music, stylish chandeliers, wooden tables, and vibrant blue accents that complete the experience. 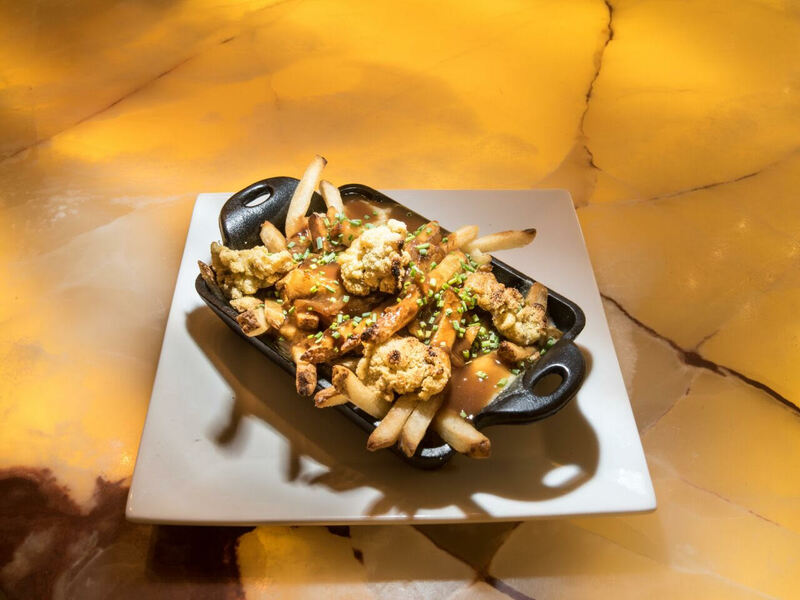 Executive Chef Jamell Williams, formally of Aquavit and Le Cirque, created a menu of simple yet memorable dishes that are worth returning for. From the Fried Oyster Poutine including buttermilk fried p.e.i oysters, seasoned hand cut fries, salsa verde, cheese curds, beef gravy and chives; to the Lobster Roll Sliders combining Maine lobster, celery, green onion, mayo, arugula and miso butter on toasted mini brioche with house made old bay chips; and the Whole Grilled Red Snapper which includes couscous, zucchini ribbon salad, cherry tomatoes, fennel, garlic and herb butter, you definitely see the influences of his Charlotte, NC upbringing. 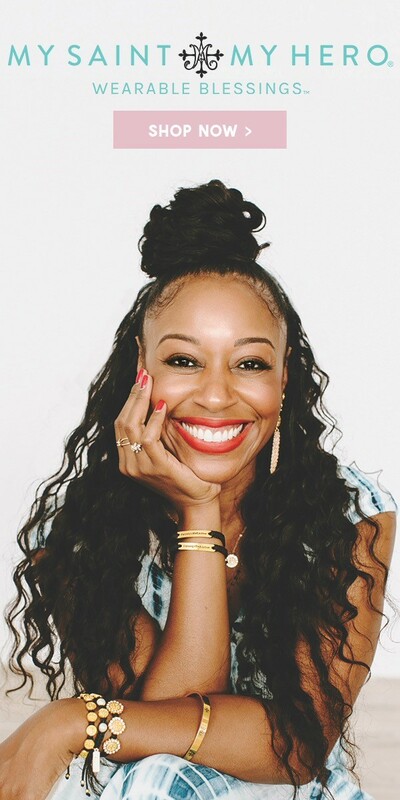 In addition to Sall Restaurant & Lounge’s Executive Chef’s southern roots, Chef Williams also won Bobby Flay’s competition cooking show, 3 Days to Open. Furthermore, he has an extensive knowledge in plant-based cooking, which shows up on the plate. His robust food knowledge is present in every aspect of the dish. All of the components work well together and individually and this doesn’t stop at the food. The menu of craft cocktails is just as creative and enjoyable, but not for the faint of heart. These strong yet flavorful drinks include Too Cool for School which blends crop cucumber vodka, St. Germaine, ginger ale, cucumber wheel garnish and The CEO including Jack Daniels, Cointreau, sweet vermouth, angostura bitters, brandied cherry and ice. There are 8 beers on draft, 6 by the bottle, and a selection of wine and champagne. Sall also offers a small dessert menu featuring Sweet Potato Donuts and Smore’s Brownies. Beginning this fall, a Southern inspired weekend brunch on their outdoor patio will take place as long as weather allows. 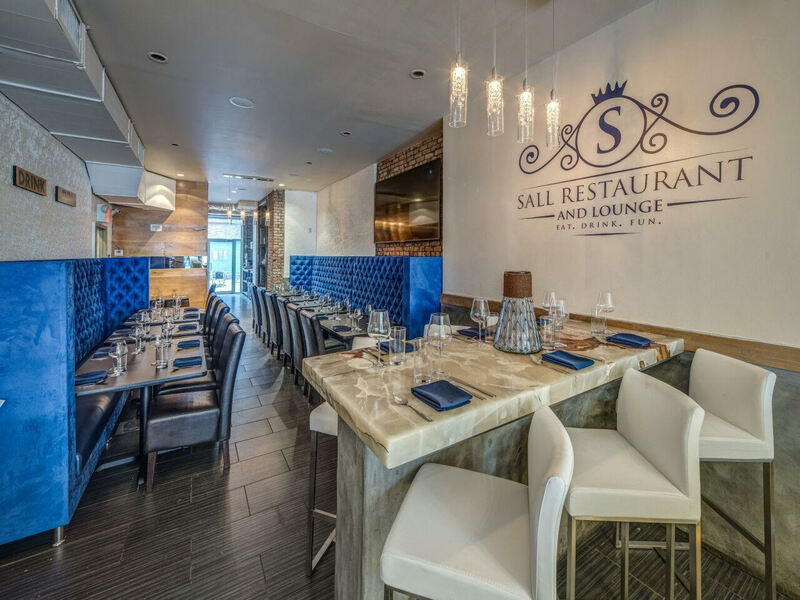 Sall’s Restaurant and Lounge is a breath of fresh air that’s sure to create a lasting impression on the neighborhood and anyone who has a chance to experience its friendly staff, talented chef, comfortable location and inspiring menu. For a special occasion or just a night out with friends, Sall Restaurant and Lounge is worth a visit or two.